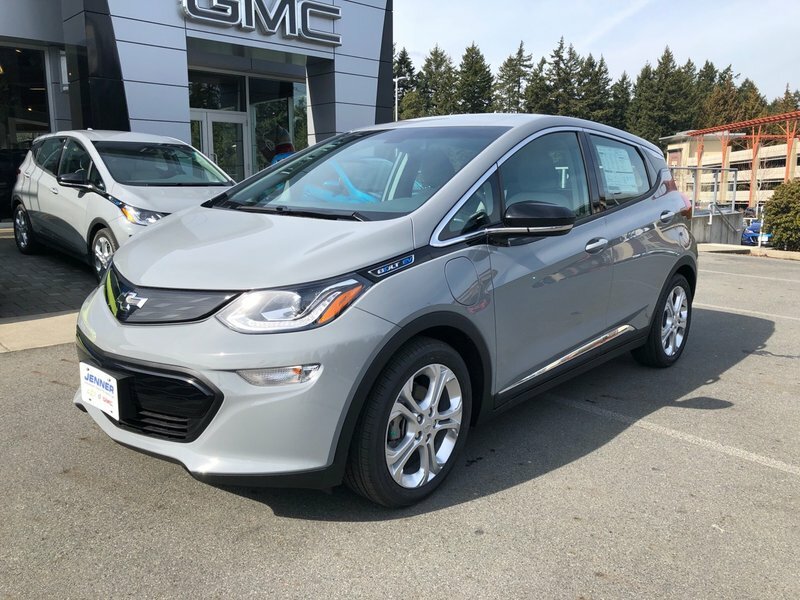 Take a second look at our 2019 Chevrolet Bolt EV LT that's a game-changer in Grey! Powered by a proven 200hp electric motor and 60kWh battery. Our electronic precision shift provides a seamless and quiet driving experience along with engaging driving dynamics and swift acceleration. Our Front Wheel Drive Bolt EV LT boasts a crossover design that's modern and bold with alloy wheels, xenon headlights, and LED daytime running lights. With room for five, the interior welcomes you with keyless open/start, power accessories, and 60/40 split rear seats. Enjoy Chevrolet MyLink radio featuring an LCD colour touchscreen, available satellite radio, AM/FM, Bluetooth, voice-activation, Android Auto/Apple CarPlay compatibility, and even available WiFi. Our Bolt EV will surprise you with its refinement and performance. In addition, it also offers you confidence with its safety innovations including 10 airbags and a rear vision camera. Add some zest to your daily drive with our Bolt EV. Print this page and call us Now... We Know You Will Enjoy Your Test Drive Towards Ownership!